June was a tough month. After going back to work full time in April and not having the time to devote to my sites I was expecting this to finally come through in to my earnings in June as any tracking periods on my affiliate offers started to expire. Search Engine traffic was strong and growing until April, then I noticed a decline during May, and June was lower again. Search engine traffic was down 39% compared to April and has not recovered so far in July. I noted that some of my keywords are no longer ranking on the front page, and some are also no longer ranking on the second page – so search engine traffic is way down as a result and I am not getting the views to the high earning pages that I did earlier in the year. June = 147,100 – I didn’t meet the target I had set myself of increasing traffic by 10% over last month. Just a 6% increase. Search engine traffic brings a steady stream of new visitors to the site everyday. And those new visitors may be seeing your offers and products for the first time, and may be ready to buy. However, take away these new visitors and your traffic is your existing readers – and if those readers have already bought the product or offer, unless you have something new to sell them, their visits may not generate any additional income. Therefore, it is important to keep introducing new products and offers to monetize your site traffic, turning your customers into repeat buyers if you are to continue to earn money from their visits. Traffic overall continued to grow slightly as I noted the reduction in search engine traffic and concentrated my efforts in a big promotion campaign across several new sites to try to attract new visitors. I made some changes to my advertising during June, replacing Lijit as their CPM had been declining recently, especially for my International traffic. So I started with Media.net. I’m not so keen on their adverts, and think the box can be misleading to readers – see the purple box on the right hand side in the sidebar – does this look like an advert or part of the menu of the site? There is no pay for displaying the box or getting a click – the advert only pays if the user then goes on to click through a second time to the advertisers. 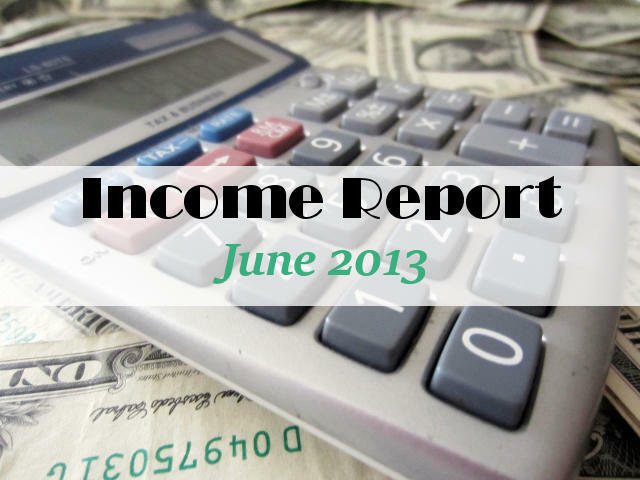 I’ll be trialing this for a month or so to see what happens – I know many bloggers get very good earnings from this, but so far on Moms Make Money, a massive $3.45 from 15th June to 7th July! Not even enough for a large coffee. I may be switching back and accepting the low rates with Lijit. I also removed the Rivit Media add from the prime position at the top of the sidebar on So Sew Easy, and was finally accepted into the Blogher Network. From what I read, CPM rates are very good for US traffic although not much for international traffic. As I have a high percentage of overseas traffic, I think this is why my ad spots don’t earn as much as I would like. I’ll monitor returns from Blogher and report back next month. US CPM rates look good, ranging from $1.50 to as much as $8. Infolinks continues to do really well and I am very happy with the income from this. The promo period on their double offer has expired, but I continue to highly recommend them if you don’t already have this for your site. I’m also still loving Sverve and recommend them too – great campaigns and an interesting platform for bloggers to network and share content, as well as earn money. Adsense also continues to bring in a little each month, although I would like more from these spots. My click through rate is low, I guess the adverts are not interesting to the readers or the sites suffer from banner blindness. And of course many readers are overseas. But it still continues to earn OK seeing there is no effort involved. Last month I reported that the MMM site really doesn’t earn much money. Running a site takes time and money, as does maintaining a mailing list, security issues (more on this in a minute) and it has to be worth my time. So I reviewed and recommended a product I have been using myself that has an affiliate program – Magic Action Box. It really is a very good product and I would have no hesitation in recommending it to my friends or to all of the readers here at MMM. Except so far, although the post and the video have been popular, almost no one has clicked on the sales link to view the product itself, and there have been no sales. So MMM continues to sell nothing and make no money! So I’ve decided to carry out some new research into other products to sell and this month I’ll be investigating e-books. How hard is it to create, format, upload and sell a Kindle e-book on Amazon? What are the costs involved? How easy or difficult is it? How many sales might you expect? I want to follow through the process from start to finish and report back on it’s potentials and pitfalls to MMM readers. I’ve asked for Slow Cooker and Crock Pot recipes to compile into a book – submit yours for a clickable credit back to your site and the potential for new visitors. Read about it in the newsletter here. I mentioned above briefly about site security issues. Did you read the post about MMM being BLACKMAILED? Yes, I could hardly believe it myself. I’m hoping this is an idle threat by someone who does not have the ability to carry out what they are threatening. If it is, then great and we will continue as normal. If not, then I urge you to sign up to the mailing list if you enjoy following the posts and information on here. Then if for any reason, the website is closed even temporarily, I’ll still be able to keep in touch with you and let you know if I move to a new address. I’ll be monitoring the situation very closely and will of course report back to let you know what happens! Still be up and running ! I tried media net…. not impressed :o) I will be interested to hear what you think… My first week earnings were strong, then it went seriously down hill…It was like they tried to hook me in… but not long enough…. Keep up the great work!! Your blog is already very helpful, one of the best about this topic. I’d love to know what that big promotional campaign is you wrote about here. What specific actions did you do and on what sort of sites? This could be a good article. And why don’t you try a public coaching program where you give tips about what a certain blog can do to improve quality, number of visitors and income and then post about it and the results the blog has accomplished in a month and your existing readers may apply for this. Every blog is different and reacts different to all the existing techniques, so this may be extremely useful. Also, one of my blogs is having problems with malware. Do you know how to detect and remove it? It started after I installed Infolinks. Maybe it’s related. Hi Vanessa, thanks for writing. I’m certainly considering a webinar series answering readers questions and showing live on screen some of the tips and processes I use on my own site. I know traffic is a huge question for most blogs starting out or looking to grow. I could certainly share all of my best sharing sites and what brings me the most traffic etc – great idea. About the malware – I’m sure its nothing to do with Infolinks. Do you mean that the blog has been infected itself, or that your pc has been infected or that the blog has been flagged as distributing malware to visitors? There is a great service offered by GoDaddy where they continually monitor your site, send you reports and if something goes wrong or gets infected you have a security expert who corrects it for you personally. I think this must be for GoDaddy hosted sites only though – but perhaps your hosting company also runs a similar scheme. Take a look at http://moms-make-money.com/godaddy, then at the top green box go to Grow With Web Tools, then scroll down to the blue boxes and look for Site Scanner. A webinar like that would be amazing! Can’t wait for it!! I’m glad I came across your site. You have a ton of great information on here. Thank you. I’ll be dropping Media.net as soon as I reach the threshold! More empty days than paying days. Like another said, it seems they did really good at the start then just dropped off. I’ll go back to Lijit. At least it was consistent! Excellent job! I find that the summer months are the slowest on the blog for me – people are out and about on vacation. 🙂 Visiting from Ladybug Blessings! Glad I found your site. Very Very helpful! Thank you! I just was accepted with Share-a-Sale. From your stats, sounds like I made a good decision. Any tips on how you select the merchants to advertise on your sites? I have a couple of posts that might help you. BTW – loved seeing the poopy post was number 1 – hilarious. Deby, you’re earnings amaze me! Congrats. I’ve tried several affiliates and have not had that much success yet. I hope to find ways to make that kind of income each month one day! I’m a new follower, because I love your blog and your tips! Hi there. I found you through Ducks N A Row blog hop. I was so glad that you posted this. I have reached the point where I was evaluating what avenues to use for my blog. Some of these I’ve heard of and am a part of and some I hadn’t. Thank you for being so helpful. I’ve signed up for your newsletter so I make sure I don’t miss anything. Your advice and expertise are always so, so helpful! Thanks for being so willing to share what you’ve learned. Have a wonderful day! I just think it is so cool of you to share this with us! I hope to be at this point sometime in my blog career. Probably very far down the road though. Blogs are hard to grow when working elsewhere full time! Thanks for being so transparent! As I grow, It’s oh so very helpful to understand all the different revenue streams and how they work together. Love! Thank you for this post and yes, being transparent! It was encouraging and helped me see what goals I might need to adjust a bit! Ty Ty!! Awesome work, Deby! You are kickin it with ShareASale! Keep it up! Thanks for linking up to Give Me the Goods! Im glad I found your blog, I’m following! This is great info since I am new to the whole world of trying to make money from blogging! Thanks for sharing! Wow, this information is so valuable! I signed up for three of the services you listed here tonight, and I plan to look into some of the others as well. I have seen other bloggers summarize their income, but I have never seen so much earned or so many different monetizing options. Thank you for sharing this! Hi! Your blog is very interesting, even though I don’t have a blog myself. I subscribe to a lot, and I would love for you to pass out to your fellow bloggers the suggestion that some people need to have a pin easy and accessible . I find that I get discouraged if I can’t save things I enjoy, and then unsubscribe. So, it would be great if you could pass this word out for those things that ar, of cours, not copyrighted. Thank you. The easiest way to pin things you like is to use the PinMarklet browser add on from Pinterest. Then you can pin whatever you like from any website and blog, and not rely on that page or article having its own button. This is more flexible than the blogger having their own button and generally brings up all of the graphics and photos on a page so that you can choose which graphic to pin. Hi! What are you doing that is making Share a Sale so profitable? Just really started monetizing my blog…well, at least concentrating on it in the last three months. The last couple of months have proven interesting. Have made a little money and still working on figuring out what or which monetizing works best for my site. Thanks for the info.